The CCP commemorates four decades since the declaration of martial law in September 1972 through PIGLAS, a series of art events that highlight artistic expressions that responded to the spirit of the times. PIGLAS will begin with two exhibitions that focus on the visual art and literary works of the period. • ReCollection 1081: Clear and Present Danger (Visual dissent under martial rule) is an exhibition that takes cognizance of a period when the phrase “clear and present danger” was used to justify an autocratic rule. September 21, 2012 marks the 40th anniversary of the signing of Presidential Decree 1081. Unfortunately, the incidents from our past have not been accurately passed on to the present-day youth. This being the case, how distorted will history be portrayed in the coming years? It is from this paradigm that the need to revisit experiences from this period arose. The idea is not so much to criticize or denounce Martial Law, but merely to recall. Memory being a fickle thing, can be easily influenced, commanded, or forgotten at worst. As a pivotal era of our fledgling nation, this must not be relegated as a mere historical footnote. According to Alice Guillermo, “Art has always reflected society and the conditions in which people live, at the same time that it has contributed to the process of social and historical change. 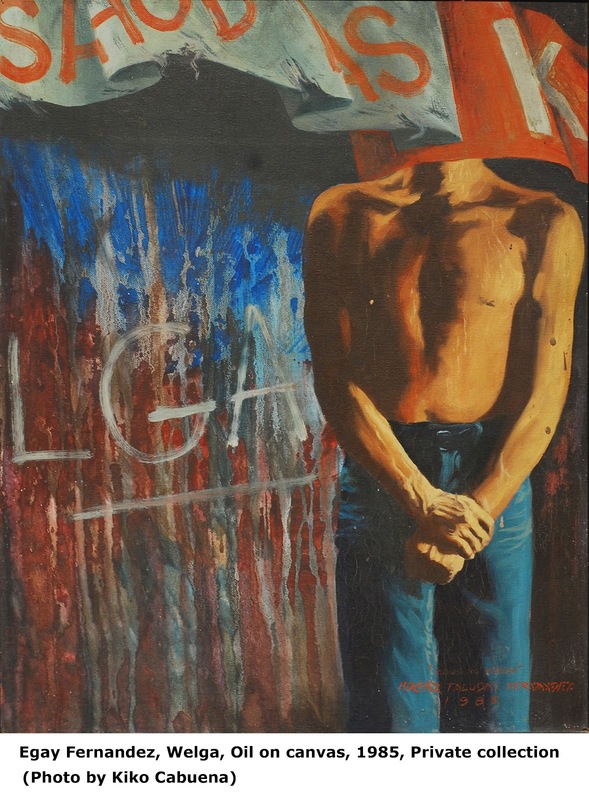 During the Marcos regime, an observed cultural phenomenon was the emergence development of protest art in various forms.” This shapes the core of the collection. The assemblage of imagery and figurations, in diverse forms and media, propounds a discussion on what was and was not true. 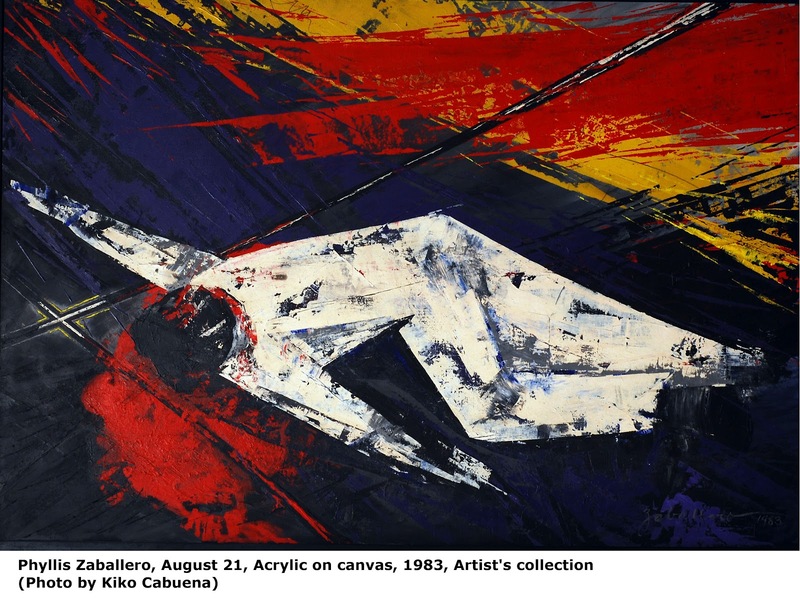 The exhibit will showcase works done by BenCab, Alfredo Liongoren, Pablo Baen Santos, Edgar Talusan Fernandez, Orlando Castillo, Al Manrique, Jose Tence Ruiz, Renato Habulan, Ofelia Gelvezon-Tequi, Brenda Fajardo, Imelda Cajipe Endaya, Antipas Delotavo, Jaime De Guzman, and Anna Fer, to name a few. It captures reminiscences, issues, and concerns from that pivotal time, all the way to the fall of the Marcos regime in February 1986. ReCollection 1081: Clear and Present Danger (Visual Dissent on Martial Rule) is curated by Ruel Caasi and Marika B. Constantino. This project is organized by the Liongoren Gallery and the Center for Art, New Ventures & Sustainable Development (www.CANVAS.ph) in collaboration with the Cultural Center of the Philippines. • Balikwas: Literature under Martial Law brings together a selection of protest literature from different sources, namely the alternative press, underground press, mass action literature and protest writings. Presidential Decree 1081 caused the cessation of many publications and closure of mass media outfits such as national magazines, dailies, and student organs. After some time, a few of these were allowed to see print again, although in a slightly altered name. Martial law which continued until February 1986, spawned many other publications. These sought to expose the political, social and cultural conditions under the dictatorship; serve as vehicles of expression and communication in a period of repression, and encourage the people to participate in the struggle for freedom and justice. Balikwas, which means sudden awakening, uprising, recovery, or redemption, is to remind us of our duty to be constantly vigilant of our rights and responsibilities as citizens. 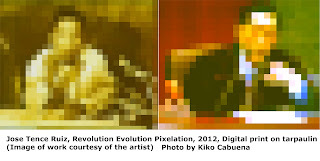 The exhibit is a project of the CCP Intertextual Division and is curated by Hermie Beltran. 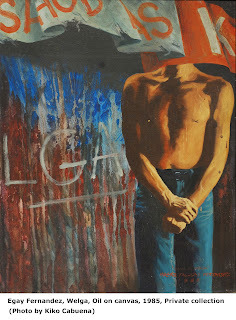 It also opens on 14 July 2012 at the Pasilyo Juan Luna. The exhibit will run until 30 September 2012. Gallery hours: 10 am to 6 pm, Tuesdays to Sundays. For more information, please call 832-1125 loc 1504/1505 or 832-3702.